In the face of a legislative deadline regarding the introduction of measures, two new bills were introduced on Friday seeking to authorize and regulate California intrastate online poker. Both bills have been tagged as “urgency” proposals in the hopes of fast-tracking them through the California legislative process. In the Cali State Senate, Lou Correa has reintroduced a carbon copy of a bill he’s introduced in previous sessions but which had failed to garner traction. The latest version, called the Internet Poker Consumer Protection Act of 2014, is now available at the California legislative tracking site as SB 1366. Though still being examined here at FlushDraw, the latest Correa submission appears identical in content to his SB 678, the Internet Poker Consumer Act of 2013. Over in the California State Assembly, Rep. Reggie Jones-Sawyer has introduced a competing bill, AB 2291. Called the Gambling Control Act of 2014, the bill began as a direct expansion of the earlier SB 51, a CA online-poker authorizing measure offered by Sen. Roderick Wright. Wright, however, was recently convicted on unrelated voter fraud and perjury charges, and is likely to be removed from the state’s Senate when he is sentence in May. However, the latest version of this bill, Jones-Sawyer’s AB 2291, varies significantly from the early Wright-sponsored effort. AB 2291 is a poker-only effort, disclaiming any regulatory efforts toward other online versions of casino gambling while asserting that the right to offer those games within California remains exclusively a tribal right. The competing bill submissions demonstrate that the turf battles over the possible future of California intrastate online poker are far from resolved. The two bills are supported by competing Cali tribal interests. Correa’s SB 1366 continues to be offered with the direct support of California’s powerful Mission Indian nation, in particular the San Manuel Band, which is the closest tribal casino to the gigantic LA market. The new Jones-Sawyer bill, AB 2291, is supported by a large number of tribes who were formerly members of COPA (California Online Poker Association), which broke apart in late 2012. Many former COPA members are among the backers of AB 2291 with a new piece at OnlinePokerReport offering a partial list: The Agua Caliente Band of Cahuilla Indians, the Pechanga Band of Luiseño Indians, Yocha Dehe Wintun Nation, the Lytton Band of Pomo Indians, the Paskenta Band of Nomlaki Indians, the Viejas Band of Kumeyaay Indians, the Barona Band of Mission Indians and the Sycuan Band of Kumeyaay Indians. Today, Assemblyman Reggie Jones-Sawyer introduced AB 2291, a bill to authorize intrastate internet poker in California. While most of the language of the bill is similar to what we circulated almost a year ago, this version intentionally leaves open controversial sections, like the so-called bad actor provisions and the number of sites per license. We did so as a demonstration of our commitment to continuing our good-faith efforts to reach tribal consensus through dialogue. As most of you know, the exact language of an introduced bill rarely if ever is what makes it through the process. We fully expect to see the bill evolve as our tribal conversations continue and as we make our way through the legislative process. But please rest assured, we as tribal leaders are committed to moving forward with a bill that protects tribal rights and honors the commitments we have made to the people of California. We look forward to continuing our conversations on March 14. 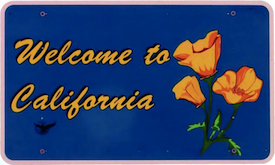 The open call for consensus acknowledges the recent history of efforts to legislate online poker in California, the United States’ most populous state. Not only have the state’s tribes placed roadblocks in the way of other gambling interests hoping to join the perceived windfall online poker might provide, but they have been unable to even offer a unified approach. That two separate bills were submitted in advance of the deadline is a clear indication that significant differences remain among the approaches sough by California’s various tribes. Last August, in response to Correa’s submission of the virtually identical SB 678, California Tribal Business Alliance spokesman David Quintana pooh-poohed its chances, declaring, “That bill’s not going move.” One of the CTBA’s three member tribes, the Viejas Band of Kumeyaay Indians, is among the supporters of the Jones-Sawyer bill. We’ll check back in the near future with a deeper examination of the bills, particularly the omission of prior “controversial sections” of the old Wright-sponsored SB 51 from the new AB 2291.